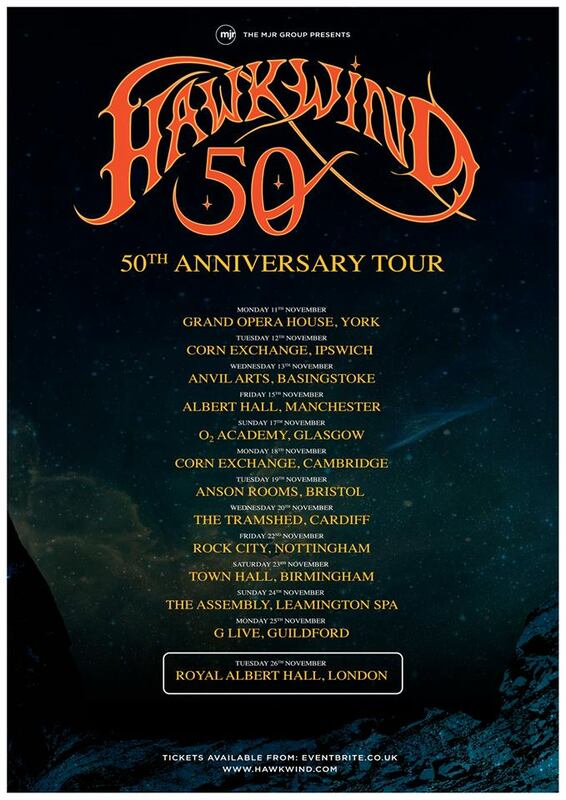 Space rock pioneers Hawkwind have lined up a 50th anniversary UK tour for this coming autumn. Preceding their previously announced London Royal Albert Hall show, Dave Brock and co. will play gigs in York, Ipswich, Basingstoke, Manchester, Glasgow, Cambridge, Bristol, Cardiff, Nottingham, Birmingham, Leamington Spa and Guildford throughout November. Announcing the fresh wave of headline shows, the band said: “Hawkwind are happy to confirm a series of UK Tour Dates leading up to their 50th Anniversary Celebration Concert at the world famous Royal Albert Hall, London in November. “The legendary pioneers of space rock will be performing across the UK in celebration of half a century of their musical journey so far.